Eliason, E.L. et. al. Surgical Nursing, revised fourth edition. Eliason, E.L. et. al. Surgical Nursing, revised fourth edition, with 283 illustrations, index. 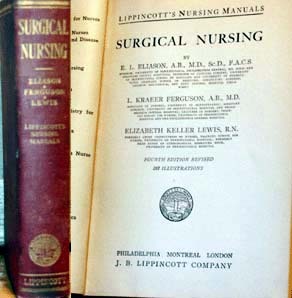 Lippincott: 1934, 584 pp. Size: 8" x 5.5" x 1.5"